We schedule top diving destinations like Komodo, Alor, Maluku, Forgotten Islands, Banda Sea, Triton Bay and Raja Ampat. Rich marine life, healthy corals and stunning landscapes may soon become your memories after a stay on board of pfizer viagra canada MSY Ilike. MSY Ilike hosts a total of 14 guests in 7 cabins that are fully air-conditioned with en-suite bathroom with hot water shower, toilet and sink. Indonesian and International meals will be served in the spacious saloon with open kitchen, or in the outdoor sitting area at the stern of the boat, well protected from wind while sailing. The comfortable dive deck in front of the boat is one of the most spacious on Indonesian liveaboards. As a diver you can choose to dive on Air or Nitrox from our membrane Nitrox compressor. Between dives you are invited to catch some sun on our sun deck, where you will also enjoy spectacular sunsets, sipping a cool drink! 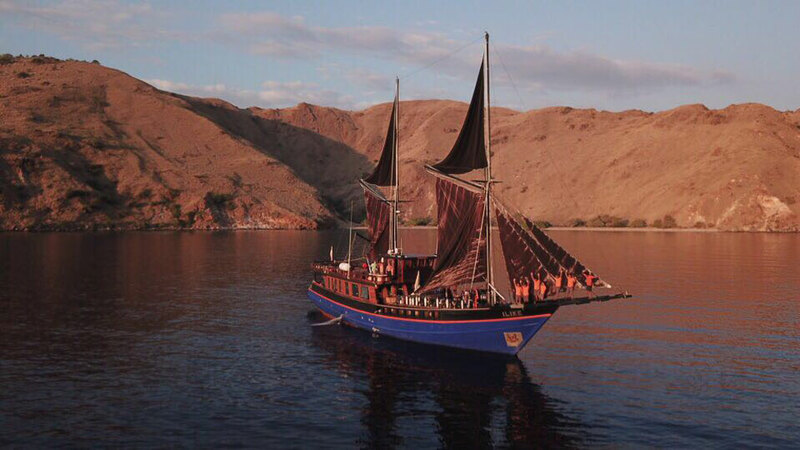 The yacht is powered by 2 x 320 HP marine engines, allowing us to cruise at an average speed of 7 knots across Indonesia. Between the operation in both top class destinations, we schedule trips to remote areas like Maluku, Banda Sea, forgotten islands and Triton Bay. If you think you have seen it all, you better try this! The menu on-board is varied and plentiful, with a variety of Western feasts and local cuisine. If you have any special dietary requirements, please be sure these are noted when completing the booking form in our website reservation system. You will awaken to fresh fruits, hot entrees, cereals and juices. Lunches are buffet-style featuring delicious local cuisine. Chef prepared dinners are served each evening and include salads, vegetables, seafood, beef or chicken with a fresh homemade dessert. Certain special dietary and beverage requests may not be available due to the remote nature of this location. The Ilike’s selection includes fruit juices, soft drinks, mineral water, coffee, tea, and a limited selection of local beer and wine. Water, tea and coffee are complimentary, and all other drinks are charges at reasonable prices. Due to the high duty charged on liquor, we suggest you bring your special brand. Drinking and diving do not mix. Once you consume alcohol, you become a snorkeler until the next day. All staterooms are air-conditioned and fitted with private toilets, showers and sinks. Breakfast (cooked to order), buffet lunch and an elegant chef prepared dinner with table side service are served in addition to mid-afternoon snacks. Mineral Water, coffee and tea are complimentary while on-board. Other beverages (soft drinks, local beer, liquor and wine) are sold at reasonable prices. Linens are changed mid-week and fresh towels are placed in each stateroom as needed. Filled tanks, weights and weight belts are included. Cabins: 7 cabins, each cabin has its own marble bathroom and toilet: • 2 budget cabins with 2 bunk beds each, bathroom in budget cabins is smaller than other cabin types. • 4 standard cabins for 2-3 persons: double bed below + single bunk bed on top. • 1 large double cabin for 2 persons: double bed. Water: desalting plant 10 000 liter per day, osmose filter system to produce the most purified drinking water.